There’s a lot of work that goes into selling a home. As one of the biggest financial transactions you’ll ever make, you want to make sure that when it comes time to sell your property, you will be able to generate the highest possible amount from your sale. A common misconception is that it takes a complete remodel to make a property ready to put on the market. While it’s true that improvements to your home will add value in the long run, if you are sprucing up your property solely for the purpose of selling, then it’s important to be cautious of updates and fixes that won’t always bring you a return on your investment. In many cases, less is more. It may be overwhelming at first when you start thinking about exactly how to sell your house, but a few minor improvements can make a big difference, and a reliable Realtor® who can provide insight on the specifics can be incredibly helpful. Your ultimate goal is to create emotional excitement for the buyer about your home in order to maximize your profit. And when a potential buyer sets foot in your front door, they usually know within about ten seconds whether they will want to make an offer or not. Factors that influence this thought process can sometimes be directly associated with layout and staging, but repairs or upgrades can be attention catching as well. So, where should a seller begin? It may seem tempting to roll up your sleeves right away and get to work fixing up the place. But regardless of the property you’re selling, the most important first step remains the same: Start with a home inspection. 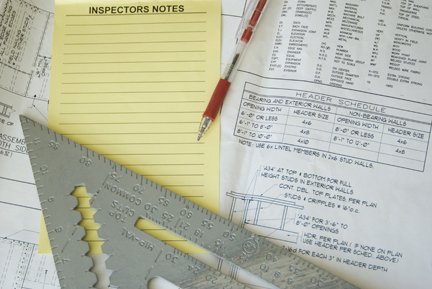 A home inspection is an in-depth evaluation of the structure and major systems of a home, that usually takes between two and three hours to complete. It will typically assess the property’s exterior site or lot and the structural foundation. It will also examine the attic, the basement, insulation, the garage (if there is one), as well as the electrical, plumbing and central air and heating systems. Home inspections usually do not examine pools or check for pests, but it is possible to have these evaluations done separately. The importance of the home inspection for a seller is two-fold. First, getting one done will allow you to prioritize your updates. A home inspection can pinpoint areas that are in need of repair, allowing you to make sure you’re using your time and money exactly where it’s most necessary. Second, a home inspection before selling will allow you to provide more information to potential buyers upfront, so that they in turn can make a more informed decision on their offer price. Without a home inspection having been completed before the property goes on the market, buyers will be more likely to include related contingencies in their offer, and may not offer as high of a price in the first place. Two things that will almost certainly come up in any home inspection will be your smoke alarms and carbon monoxide detector. The laws around smoke alarms vary by state, and carbon monoxide detectors are mandatory by law in 26 states across the country. Once the home inspection has been completed and you’ve made any necessary repairs, there are still some other minor updates that can help you generate the best possible sales price for your property. The trick to remember when figuring out how update to your home? Keep it subtle. Instead of a major addition or high-end upgrade, focus your attention on making replacements to anything that looks outdated, like windows and doors. This is particularly true for single-paned windows, as replacing these will signal that your home has been well maintained. Two of the most important areas of the home to prospective buyers are the kitchen and the bathrooms. But of the two, updates to a kitchen tend to get a better return on investment. So if you have to choose, it’s a safe bet to assume that energy directed toward the kitchen, including tasks such as updating cabinets, will be most rewarded when you sell. But some of the updates that can have the biggest return on your investment may not be the most obvious. Instead of going for the power tools, pick up a paint brush. A new coat of neutral colored paint can do wonders to refresh your space. Painting a room white is not only neutral, but will cause it to look open and airy. Two other relatively low-cost upgrades that tend to generate the greatest return are insulating the attic and replacing the entry door. Once you’ve done these, what next? It’s time to get outside. Curb appeal is important. The outside of your house is, after all, the first thing your prospective buyer will see when they come for a viewing or open house. Many buyers are influenced by emotions and will be attracted to a well-maintained lawn, trimmed bushes and colorful plants and flowers. A fresh coat of paint helps just as much outside as indoors. Consider also some special touches, like putting up a new mailbox or installing a new address plate or house number. 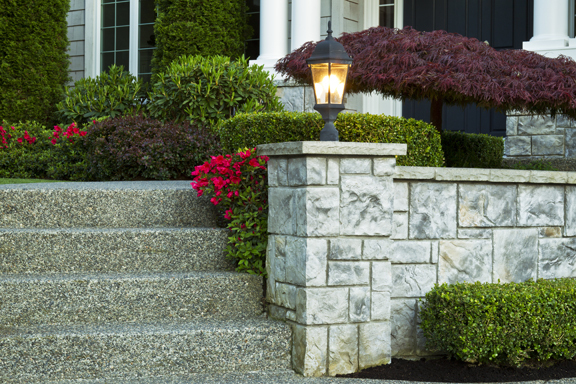 Adding exterior lights to the entryway is also another option, as a well-lit entrance also signifies safety, which can be an added plus in the mind of your buyer. Focusing on the exterior of your house is also worthwhile in the sense that there are often larger returns on these updates. Stone veneer is another great update choice for outside, as it is relatively low cost but can often look almost indistinguishable from the real thing. With so many potential update options to choose from, how can you avoid wasting any money or time? 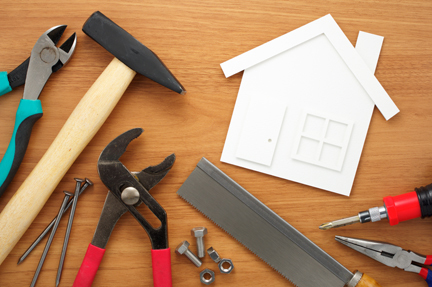 While it’s true that most upgrades will add some kind of value to your property, there are a few things you can avoid altogether to maximize your return. Any midrange and upscale additions, with the exception of decks, probably aren’t worth it if the sole purpose is for selling. (Of course, if you were planning to live in your home for a few more years and could enjoy the outcome of a major renovation project yourself, it would be different). But generally speaking, large additions likely won’t be worth it in the long run if you’re looking to generate the most from your sale. While the outside of your house is important, things like fancy patios or fire pits likely won’t bring much bang for your buck. Avoid spending too much time and money on a particular style in the kitchen or bathroom. While it may be your taste, specific stylistic choices for these important areas of the home could actually turn off buyers. When in doubt, neutral and timeless is always the way to go. When it comes time for a viewing, make sure all your personal belongings, such as photos and souvenirs, are put away. Closets should be tidy and well organized, creating the idea of lots of space. You want your house to look as open and neutral as possible to allow a buyer to imagine themselves making this their home. Major renovations or lofty home improvement projects may not be the way to go to get the best possible return on your home sale. Instead, focus on the little things. They may seem small, but they can have a big impact on your final selling price. Editor’s Note: Joseph Alongi is owner of the real estate brokerage firm soldnest.com, which specializes in homeowners looking to sell, and lists homes at a discounted comission (1.5% listing fee). Visit the company’s website to learn more. No More Home Energy Tax Credits for 2017?